Becoming an effective leader takes practice. One organization that has made an effort to help women become powerful leaders is Washington, D.C.-based NOBEL Women. 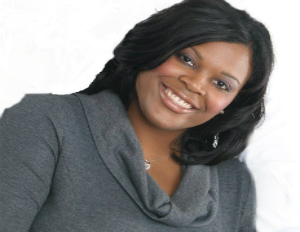 Executive Director Waikinya Clanton chatted with BlackEnterprise.com about NOBEL, her role, and how its leadership institute is making waves. BlackEnterprise.com: Tell us about your career path leading up to NOBEL women. Waikinya Clanton: I started my career in politics in 2008. Right after I graduated from college I came to Washington, D.C., to intern on Capitol Hill for the summer. I returned to Mississippi for two weeks when I got a call from the Congressional Black Caucus Foundation to come and work in the president’s office. It was an internship that turned into a full-time executive assistant position. From there, I got an offer to work on Capitol Hill, so I opted to work on the Hill. I worked there for four and a half years before coming to NOBEL just a year and a half ago. BlackEnterprise.com: What is the history and ultimate goal of NOBEL Women? Clanton: NOBEL Women stands for the National Organization of Black Elected Legislative Women. We were founded in 1985. We’re a nonprofit, nonpartisan organization primarily composed of current and former black women legislators and some appointed officials. We were founded in order to promote and increase the presence of black women in government and leadership. We serve as a global voice for women on a number of issues, particularly as it relates to black women and their families. We also focus on preparing women for leadership, whether it’s running for office, leading corporations, or leading nonprofits. We really focus on creating a pipeline of leadership for women. BlackEnterprise.com: Tell us about the NOBEL Women Leadership Institute. Clanton: Our leadership training program reaches out to corporate women as well as nonprofit women who are interested in leadership. In fact, one of our key programs, which is the NOBEL Women Leadership Training and Educational Development Institute, is a year-long training program where we recruit a class of no less than 25 women to come and learn how to be effective leaders. We go from entry-level women all the way up to women who are just generally interested in leadership. We expose them to the different types of leadership. We teach them how to effectively communicate and how to handle public relations. We also talk to them about image and public service. There’s also a community service component to the institute. The women meet twice in person and twice virtually, and then they have monthly webinars. They also keep a journal so that we can evaluate their progress. We started the leadership program in 2002, and we’re looking to launch a revamped version of the institute next Fall. BlackEnterprise.com: What inspired the leadership institute? Clanton: It actually goes back to NOBEL’s founding. We were founded by a group of women state legislators who were looking for a more prominent voice on some of the issues that are affecting women in particular. A lot of our women were members of another organization where they felt like they didn’t really have a voice in terms of leadership. And that’s why they founded NOBEL. And from that, one of the key components was to have a division that would specifically train women on how to lead and making sure that we were creating a pipeline for more women to enter the political arena and to sit on boards, become CEOs, and lead organizations. In part two of this interview Waikinya will share some her career advice.